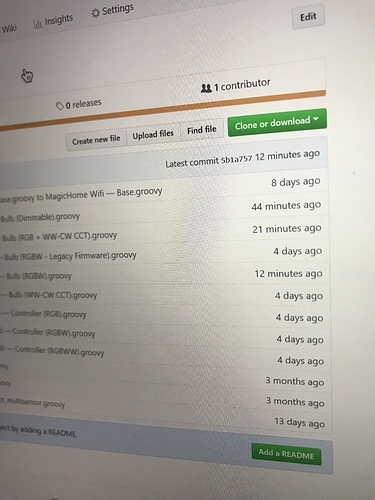 Thanks, Is the driver posted in github? Not yet---I've set aside some time tonight to go through another round of testing with it before release, though. The slowdown seems to be significantly better, although, I'm unable to tell if that's all in my head or not. If it's not, I can always revert the telnet behavior back to the way it was prior. Good luck with testing, make sure to verify that it turns off every 20 seconds! I just have to jump in here and say, that I have been watching this thread for what feels like an eternity, waiting, waiting, for this to be stable. Take all the time you need, but this to me is a highly sought driver that should have been included with HE by default and adds tremendous value to this platform. Thank you thank you thank you for making this! Latest version has been stable on my hub (and fast, which is what made the old versions suffer). Should have the rest finished up in 30-40 minutes. Edit: 0.81 is LIVE! I didn't get a chance to test the RGBW bulbs or the CCT bulbs, but I only changed two things in them so they should work fine. You may need to reboot your hub after installing it ... I had to do this on both of mine. After that, I've been slowdown-free for 5 days or so. Let me know what bugs you find. I'm going to update now, thanks again! I’m eagerly awaiting to hear how it works for you. I change the name of the driver so I keep both installed just in case my wife comes to hit me. A wise man Let me know what’s working, what’s not working? Wife did not complain this morning, so we are good! I just looked the hub and it's not slow, so we are good! Wife is arriving in a few minutes, I hope it works or we are dead! Also, for anyone with an RGB-CCT Bulb, I must have deleted a letter in setcolortemperature() when I added it to GitHub. It’s corrected now. Adam, FANTASTIC job on the driver. Excellent work. everything I tested worked, very very well. All of the "Set ..." buttons turn on the strip when it's already off. Also none of the "Preset xcolor strobe ...,, preset xcolor fade, etc) turn on the strip, if it's already off. Not a big deal to me, but thought I'd mention if that wasn't intended, as I have the option "turn on when values change" activated. Thanks for the note on that bug—I’ll take a look into it! I’m VERY glad to hear it’s working well for you, aside from that It feels nice to have lights that can be automated outside of their apps that aren’t crazy expensive. I managed to get these on a lightning deal for $31 last night. I've only tested them for about five minutes, but thus far everything is working well. Outstanding work! I’m glad to hear it! Let me know how things continue to work in the long-run I’ll work on bugs as I find time. 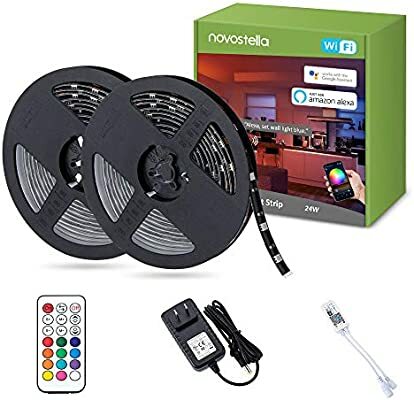 I'm looking for driver for standard single color dimmer for magic home ? I saw the rest listed except this one.